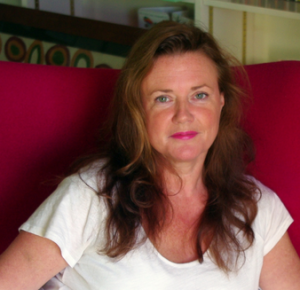 Meet artist Sarah Pye. With only 4 months to go until the Henley House & Garden Show we’d like to introduce some of our wonderful suppliers who are going to be exhibiting. 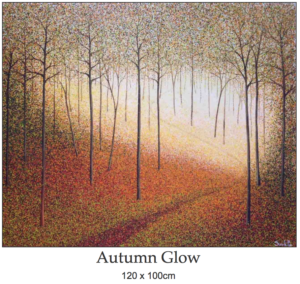 Kicking off with Sarah Pye Fine Art, a local artist who produces stunning contemporary impressionist style works of art, Sarah takes inspiration from the beautiful woodlands that surround Henley as well as wild flower meadows and the sea. Watch Sarah in action here and you’ll see how she drops the acrylic paints onto the canvas from a height to create the droplet effect. Her compositions are made up of many layers. It really is quite mesmerising to watch! 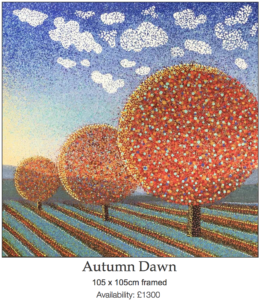 Her pieces capture the range of seasons we are lucky to experience here in England. 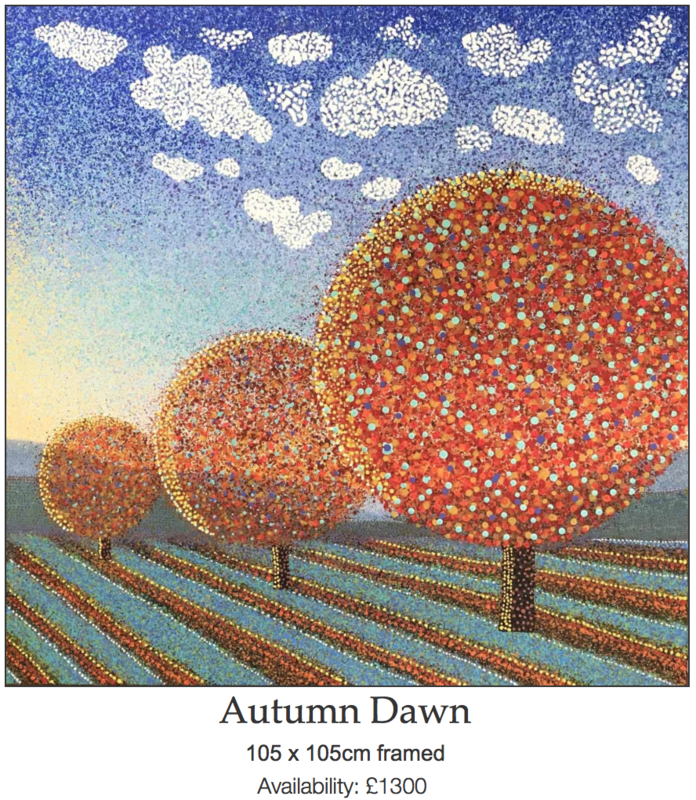 Every season brings its own inspiration for Sarah but Autumn is probably one of her favourites. I for one could see her painting Autumn Dawn on my wall. And Autumn Glow certainly gets us excited about a Sunday afternoon walk. A piece of art can inspire an entire interior scheme. And putting it up makes a room complete. So if your space is missing something, then it could well be a piece of art. Sarah’s art work will be on show on the 2nd and 3rd March at the Henley House & Garden Show 2019 where you’ll find a wealth of talented suppliers and crafts people for your home and garden. The second Henley House & Garden Show is taking place across three venues on Saturday March 12th (10am-6pm) and Sunday March 13th (10am-4pm). Main sponsors Mercers Solicitors and Phyllis Court will welcome you into the marquee alongside other key sponsors: Benjamin Moore Paints, Henley Interiors’ floors, Jack Brunsdons’ windows and doors and Taylor Jones Kitchens who will be hosting Shaun Dickens’ cooking demonstrations. The marquee will be home to larger items – Outhouse Bathrooms, Get Furnished, Simon Campbell & Encompass furniture, Jonathan Coles Lighting and Floor Store flooring as well as architects LAPD, finance experts Orchard House and garage professionals, GarageTek. 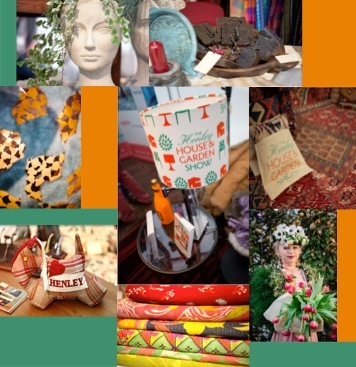 New exhibitors include fabric house Fermoie, the Loft Access Company, Brook landscaping and Sloane Home, alongside last year’s favourites; Cristo Designs, Chiltern Antiques and Heritage Trees. Billy Fry’s teak garden furniture and wonderful wooden horses will be on display, with Veg Pods and a spectacular ‘nautical home’ from Henley Sales and Charter. Look out for Sensescape’s living wall on the outside of the club’s entrance then come inside to visit the craft gallery curated by Lynne Lambourne of Love Local. Macbeths Insurance is taking care of the town hall again this year where there’s a supberb selection of photography and art, as well as professional designers; Rachel Hotston, Cathy Cornish, Sam Appleton and Louise Lothian. Grand Design Blinds will have their house of odd shaped windows and Ripcaster will keep the music flowing. Local retailers Boatique and Adventures in Living are joining in as well as Humphreys of Henley and, from further afield, Skandic Hus. The town hall is also home to the speaker theatre in the Council Chamber. Talks are on the hour and last 30 minutes with a 15 minutes Q&A session after. 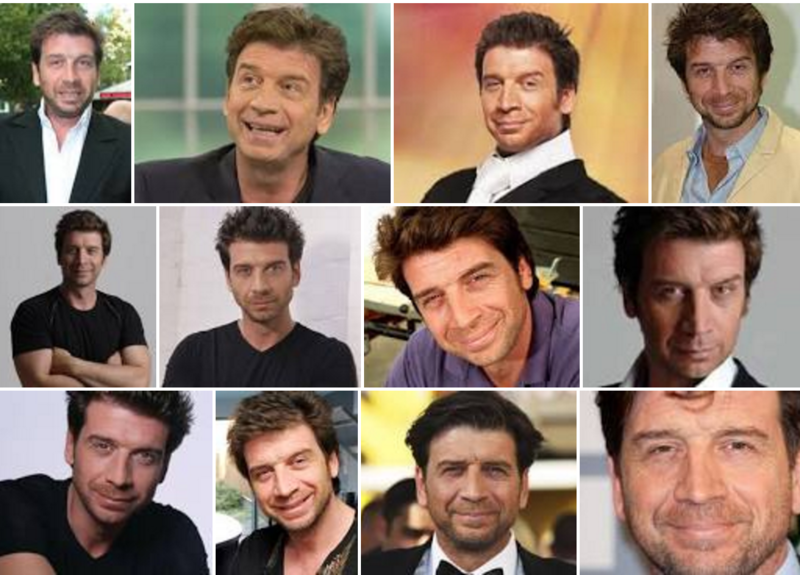 Talks are free except for the Nick Knowles appearance where there will be a charity collection for the Chiltern Centre for Disabled Children. The Henley House & Garden Show is more than just a pop-up weekend ‘shop’, the show director has always seen it as a celebration of all things Henley and a fantastic reason to visit our historic town in a quieter period of the year. The show is a collaboration of local talents – business and craft but also entertainment and charity. Two local choirs will open the show and local sporting heroes and celebrities will participate in a ‘Home Décor Fashion Show’ designed to raise funds to build a multi-sensory room in a local respite home for disabled children; the Chiltern Centre. 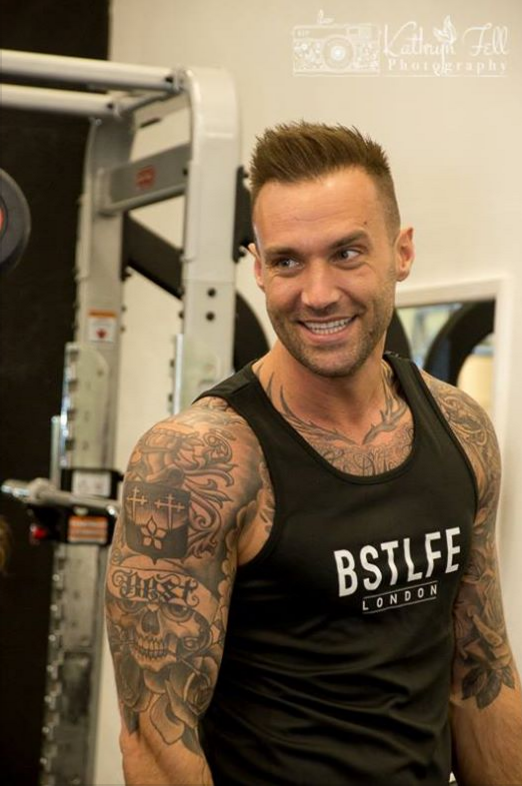 Models and gym owners, Calum Best and Angie Best will take to the catwalk modeling the interior and garden accessories. Love Islands’ Chris Baxter and BBC’s Julia Kendell will join them alongside Olympian Toby Garbett and local sports men and women from the Henley Hawks and drama group Stageworks. The fashion show will be hosted by another local legend, Mike Read. The Henley House & Garden Show is free of charge. Bear in mind potential parking issues and head to the Henley Hawks or train station car park. The restaurants and shops on the Market Square have been incredibly supportive of the show, so why not make an evening of it and have a meal in town too? We are delighted to announce that Nick Knowles of DIY SOS will be supporting the Henley House & Garden Show 2016. Mr Knowles will be interviewed by local journalist, Cindy Burrowes on Sunday 13th March at 2pm in the Town Hall Council Chamber. Funds raised at this talk and the Home Decor Fashion show, will be used to build a multi-sensory room for our local charity,respite centre: the Chiltern Centre for Disabled Children. 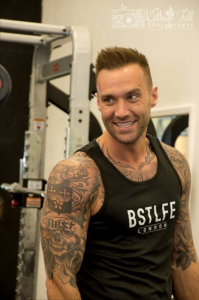 The Home Decor Fashion Show is taking place on Saturday 12th March in the marquee at 5pm, where we will see local sporting heroes and celebrities, including Calum Best and Julia Kendell, modelling items from our exhibitors and sponsors – items of furnitures, home decor accessories, a garden tool or two? It’s a fun way to raise much needed funds for this fantastic charity and we welcome you to enjoy it. The Henley House & Garden Show is taking place in various town centre venues on Saturday 12th March 10-6pm and Sunday 13th March 10-4pm. It is a free event. The Henley House & Garden Show is a collaboration of the town’s property related businesses, retailers, sports clubs, associations and residents to celebrate our love of homes and gardens, and will take place on Saturday 28th February and Sunday 1st March. Taking place over four main locations, the Town Hall, a large marquee on Falasie Square, the King’s Arms Barn and the Old Fire Station Gallery, there will be over fifty exhibitors of luxury interior and garden design products and services, artisans, artists and professionals. In addition to the 4 main locations, there is also the HHG Design Trail which features many of the wonderful furniture, home wares and art galleries that are situated here in Henley, as well as several of our local cafes, restaurants and pubs. Niki Schafer, the show’s founder and director, is a Henley resident and interior designer, who spends her time finding the perfect items to fill your home and what she calls “the great green room beyond”, and in staging the show, she has found an amazing amount of talented businesses, artisans and designers on her doorstep – in and around Henley on Thames. 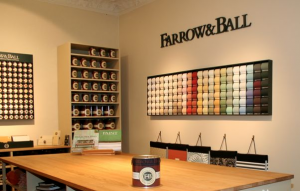 “We are very fortunate to have such companies based here,” says Niki Schafer, “from the well-loved Farrow & Ball, Chiltern Antiques, Lots of Living, A Stitch in Twine and the very lovely ‘Life’ in Nettlebed. The Henley House & Garden Show has been designed to be a collaboration of all things Henley and is appropriately backed by “Love Henley”. If you love Henley, and would like to support your local sports stars and celebrities as models, or donate to a fabulous cause, or are looking for some inspiration, professional advice or a fun creative workshop, then please do come along and visit the show. 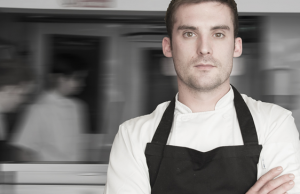 Taylor Jones Kitchens, who are also exhibiting, have sponsored the cooking demonstrations, and we are delighted that Shaun Dickens will be sharing his skills with us over the weekend. Macbeths Insurance has sponsored the overnight security (provided by the Gurkas) and will also be supplying an Antiques Roadshow style expert to help you value your jewellery. Outhouse Bathrooms have sponsored the speaker theatre which will be situated in the Council Chambers in the Town Hall, and this will feature a tremendous range of speakers on the hour over both days of the show. Alastair Broom from GarageTek who will be talking about how to organise your garage. Ana Mari Bull, who has designed a garden for Grand Designs, has also kindly sponsored the green aspect of the show (outside), while her counterpart Niki Schafer Interior Designs has sponsored the orange (all things indoor!). Love Local has sponsored the stands in the King’s Arm Barn where Chandler’s Candles, Kreis Design, Mary Smith Photography and many other home accessories will be on sale. The Henley Standard have been brilliant media partners for the show and updated the town with news of the upcoming show. This included a 24 page programme printed by the Higgs group and distributed by the newspaper. 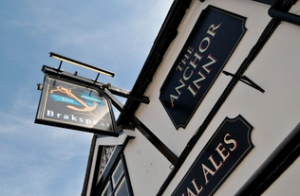 Brakspears has kindly sponsored the networking event on the Saturday evening for all sponsors and exhibitors. Over 60 Exhibitors are split between four venues: Town Hall, Falaise Square marquee, King’s Arms Barn and the Old Fire Station Gallery. The Falaise Square marquee will house larger items such as furniture from the Good Shelf Company, outbuildings from Malvern, and trees – in their natural form from Heritage Trees Services and their decorative form from Twilight Trees. Chris Green will be available to talk shutters, the Floor Store will have a range of surfaces on display, and if you’re looking for planters for the garden A Place in the Garden will be able to help. Billy Fry Garden Furniture and Farrow & Ball will be outside the marquee and local business Veg Pods will also have an outside stand where they will teach children how to grow vegetables in their pods. 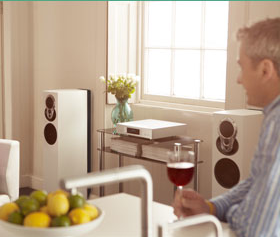 The Town Hall will house the smaller home accessories and arts: The Quince Tree, Oliver Richardson Paintings, famous Muhammad Ali and sporting photographs from Victoria Smith and Sonos and Linn music system from Ripcaster (based in Checkendon). Professional advice will be available from a range of designers and architects including Alison Pressley in the town hall and LAPD Architects in the marquee. Garden designer, Rachel Hotston will be able to advise on your garden requirements, and you can also bring your plans along to interior designers Life, Sam Appleton and Niki Schafer as well as the architects and Grand Designs’ garden designer Ana Mari Bull, who is also sponsoring the show. Sally Webb from Connect 2 Colour is speaking on Sunday 1st March about her art business, which provides art therapy workshops for special needs children (as well as fun team building and family day workshops). 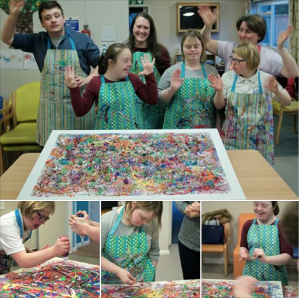 Sally and her team have generously donated a workshop to The Chiltern Centre and created a stunning piece of art with the children there. This masterpiece will be auctioned at the Home Décor Fashion Show taking place on the Saturday afternoon. The Kings Arms Barn features displays from Sue Tilbury Arts, Nicola Metcalfe, Maya Crafts and Kreis Design. Chandlers Candles, Mary Smith Photography, Rebecca Aix Home, Polka Dot Parsley Pottery and Roelofts and Rubens will also be there and supported by Lynne Lambourne of Love Local. The show also gives you the opportunity to get “hands on” and learn some new skills at the creative workshops which will take place in the Old Fire Station gallery. Workshops are the only element of the whole show for which a charge is made! 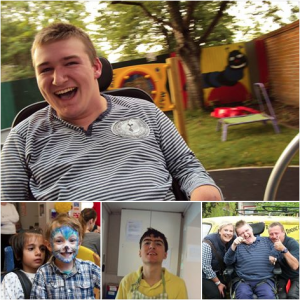 We are delighted to be supporting The Chiltern Centre, based here in Henley, which does amazing work providing specialist respite care and short breaks for disabled children and their families in the Thames Valley. The HHG show will be raising funds to help build a multi-sensory room for the Centre, and many local celebrities and sporting heroes will be donating their time to model in the Home Décor Fashion show. Items of furniture and art will be modelled by (amongst others) Angie Best, Julia Kendell, Naomi Riches, Mike Read, the Henley Hawks, Emma Jane Taylor of NutriousWorks and our amazing women rowers to create a stunning (if somewhat eclectic) room set on stage. 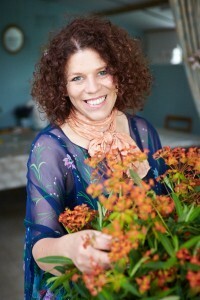 Another feature of the show will be a spectacular floral couture dress created by Jo Wise of Floral Circus. There will be collections during the Fashion show in aid of the Chiltern Centre for Disabled Children. Niki is again very enthusiastic about what Henley has to offer! 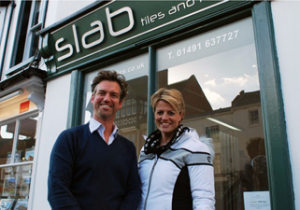 “We are very lucky to have such a great range of design-related businesses in Henley, and I’m keen to bring attention to our own shops such as the new Slab Tiles on Hart Street, Lots of Living, Sharps and Barry Keene’s gallery on Thameside, as well as Brook House Interiors and Broadleaf on Reading Road. 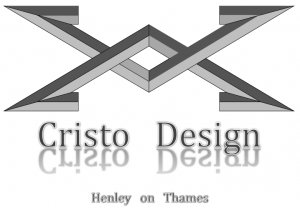 I also want to promote out great cafes, pubs and restaurants that are such a feature of Henley, and several of these have supported the show by joining the Design Trail”. As well as following the Design Trail Guide, you can’t miss a shop or cafe that is part of the trail – because they will have a 6 foot laurel tree from Toad Hall Garden Centre with a poster outside their door – please take some time to stroll around town and visit as many as possible! Rob Heginbotham has also provided both management and moral support – both gratefully received. Photographs will be taken by Kathryn Fell Photography. 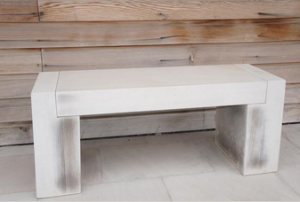 A stunning stone bench from London Stone. 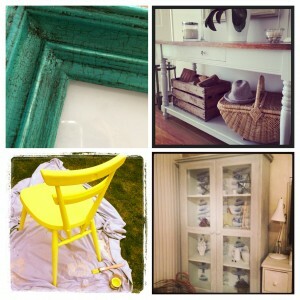 Henley House & Garden Show – The Countdown is ON! There’s not long to go now until the first Henley House & Garden Show and we’re all very excited. If you’re passionate about homes and gardens as much as we are, then this is a fantastic opportunity to really get to know a number of creative business owners, interior designers and horticulturalists who will be providing a wealth of information and giving fantastic advice about where you live. The event has certainly captured the imaginations of the people of Henley on Thames and there are now over 50 exhibitors of high-end interior and garden products that will be taking part in the show. In addition to this, there will be expert speakers including television presenter Julia Kendell, paint specialists Farrow and Ball, and innovative garden designer David Harber. There is much excitement in the town already and we’re really looking forward to creating a memorable weekend to truly inspire stylish living. Entry to the show is absolutely free except during the Home Décor Fashion Show when you will be asked to donate to The Chiltern Centre. The show is raising funds to build a multi-sensory room at this respite centre that provides quality care for disabled children in the Thames Valley. So for a truly unique experience in the stunning Henley Town Hall and Market Place (as well as various galleries and showrooms) discover beautiful interiors, garden and decorative accessories, striking fashion pieces alongside creative workshops. And if that’s not enough to whet your appetite, we also have some cooking demos by some amazing professional chefs. We are a nation of house and garden lovers and no more so than in Henley-on-Thames. The town is home to horticulturalists and interior design fans galore as well as a huge number of creative businesses and professional services in the property industry. So much so, the idea of a Henley House & Garden Show seems almost a given. The inaugural Henley House & Garden Show is a collaboration of the town’s businesses, professionals, residents, sports clubs, restaurants and retailers and will take place on Saturday 28th February and Sunday 1st March 2015 in various venues throughout Henley. “I’m thrilled to be part of the show, as it’s a great opportunity to promote my garden design business to local residents and be part of the business community,” says Ana Mari Bull, Grand Designs garden designer. The idea came from Niki Schafer, a local interior designer who, recognising the town’s passion for festivals, homes and showmanship, has pulled together an impressive collection of sponsors, exhibitors, expert speakers and talent for workshops and entertainment. 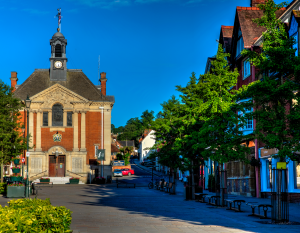 In the town hall and a large marquee on Falaise Square in Henley town centre, there will be 50+ exhibitors of high-end interior and garden products and services. Throughout the weekend there will be speakers from the British Institute of Interior Design and the Society of Garden Designers, as well as Julia Kendell celebrity designer from DIY SOS. Creative workshops for adults and children and demos are also being held in various galleries and showrooms, and a red Routemaster bus will take visitors around town. Mercers Solicitors are sponsoring the marquee, Farrow & Ball the workshops, Outhouse Bathrooms the speakers, Knights Oriental Rugs the programme and MacBeths Insurance the overnight security. Toad Hall have also generously donated trees to go outside shops and restaurants for the ‘design trail’, created to bring the town’s retailers on board. The Henley Standard is the official media partner and the show is fully supported by the SODC and the Henley Town Centre with particular help from Helen Harvey and Peter McConnell. 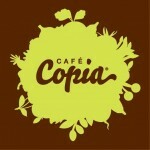 The highlight of the show promises to be the ‘Home Décor Fashion Show’ that will take place on the Saturday afternoon. Men and women from the town’s superb sporting clubs will be modelling home décor and furniture down a fake turf runway while overhead a spectacular light show will take place. The show is in aid of The Chiltern Centre, a ‘home from home’ for disabled children and funds raised will go towards creating a multi sensory room in this invaluable, local respite centre. If you are interested in exhibiting at the show, modelling along the fake turf catwalk or hosting workshops please get in touch. 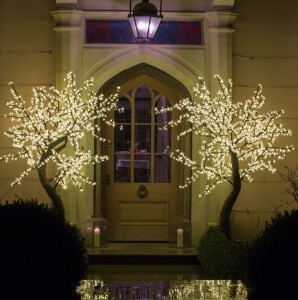 The Henley House & Garden Show is the idea of local interior designer, Niki Schafer (www.nikischaferinteriordesign.co.uk) who is a director of the Henley Business Partnership’s House & Garden group. 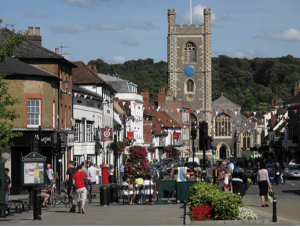 “We need an event to draw visitors into Henley during the winter months. 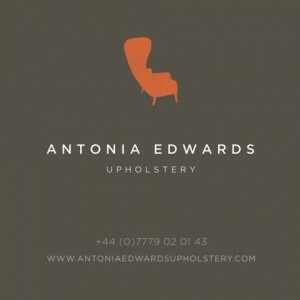 Our town is full of estate agents and design shops because we LOVE our homes and gardens here. A show dedicated to interiors and gardens makes sense!” says Niki. The journey of finding support and sponsors has begun incredibly well with the district and the town council, alongside the Henley Business Partnership supporting the event from the start. Further sponsorship has come from the town’s design shops and property services such as Mercers Solicitors and Knights Oriental Rugs. As well as being a collaboration of the local businesses, the show also has a charitable side with a highlight of the weekend being a ‘Home Decor Fashion Show’. Local sporting heroes will model pieces of furniture and decor down a turf runway to create a room set. Money created during this fun event will go towards building a multi-sensory room at The Chiltern Centre, a respite centre for disabled children in Henley-on-Thames.